A fully portable platform scale for drum and barrel weighing that has live side rails and features a new wall or desk mount digital weigh indicator is being introduced by Alliance Scale, Inc. of Canton, Massachusetts. The Alliance/CAS R-Series Drum Scale is a heavy-duty portable platform scale with two handles and two rubber wheels that is designed for weighing drums, barrels, containers, skids, pallets, and other industrial containers. Featuring a new CI-200 Series weighing indicator with 10 numeric keys, two function keys and a six segment 1” LED display, it provides 1/520,000 A/D internal resolution, and includes a wall or desk mount bracket. Available with 500 x 0.2 lbs. and 1,000 x 0.5 lbs. capacities, the Alliance/CAS R-Series Drum Scale measures 42.75” W x 39.5” D x 3.5” H, is constructed of steel with an anti-skid diamond plate deck, and a baked-on powder coat finish. Providing password protection and 0-19 numeric IDs, the indicator has an RS232C port for integration with networked devices. 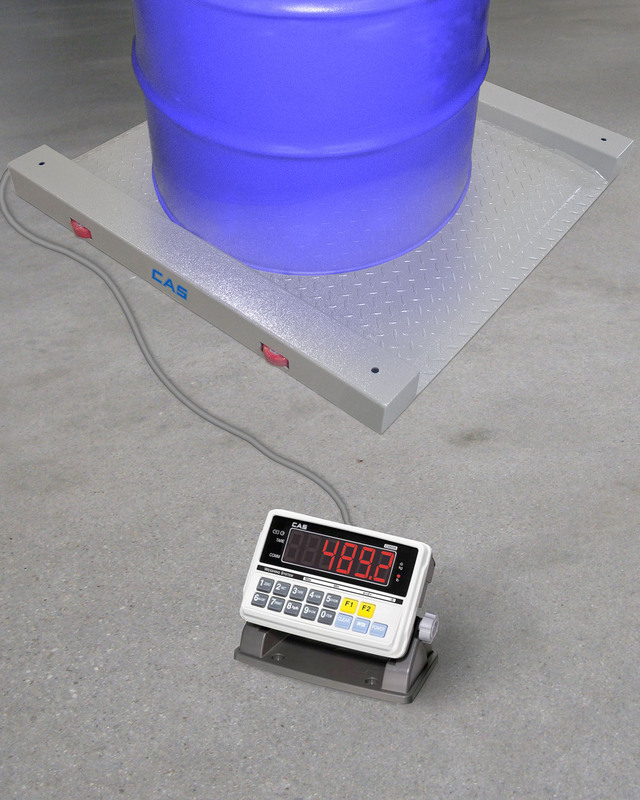 The Alliance/CAS R-Series Drum Scale is priced from $1,275.00 including the digital weigh indicator and is available online at www.alliancescale.com.